Kerry attended Sumner Primary School, Christchurch, New Zealand in the mid 70's and her foremost recollection is of a school trip when she drew Shag Rock. To her amazement she had transferred her vision to paper. 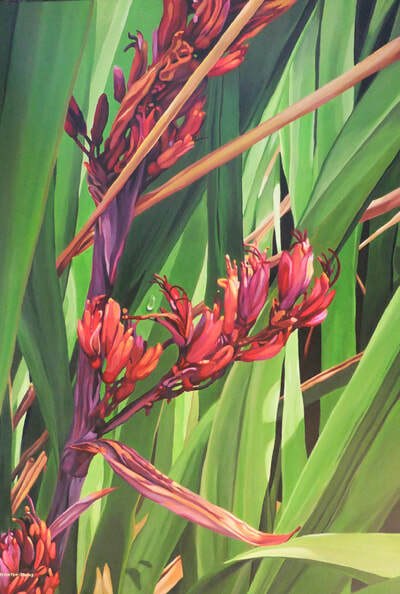 Her interest continued with drawing through High School and although partly self-taught she spent two years studying art at Hagley Community College in 1991 to 1992 . Her friendship with New Zealand artist Kees Bruin has been a huge inspiration over the years his mentoring and encouragement has been invaluable. 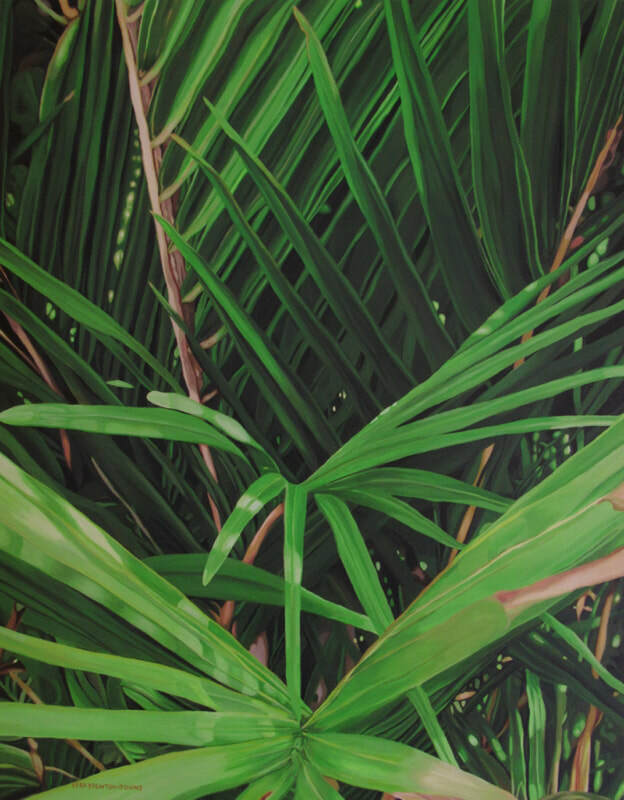 She continues to paint in acrylic and oils, her works reflect the changing landscapes and still life dominated by plants from her love of the out doors. 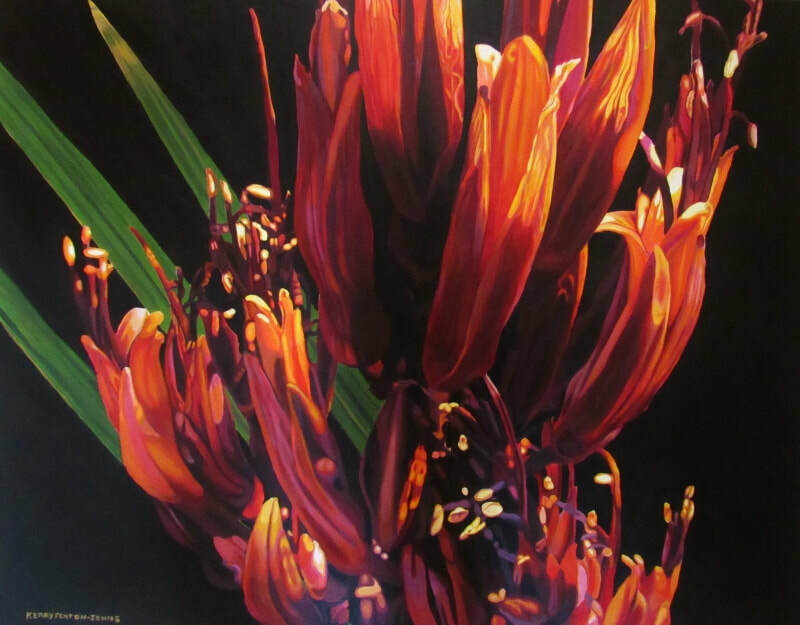 Kerry's passion for painting comes from the desire to look at the beauty of God's creation and put this to canvas as realistically as is possible. She is not fearful to explore new idea's when it comes to the Art's. Kerry's following has gathered momentum since 2002 when, encouraged by friends and family, she was driven to pursue a full-time career in art. 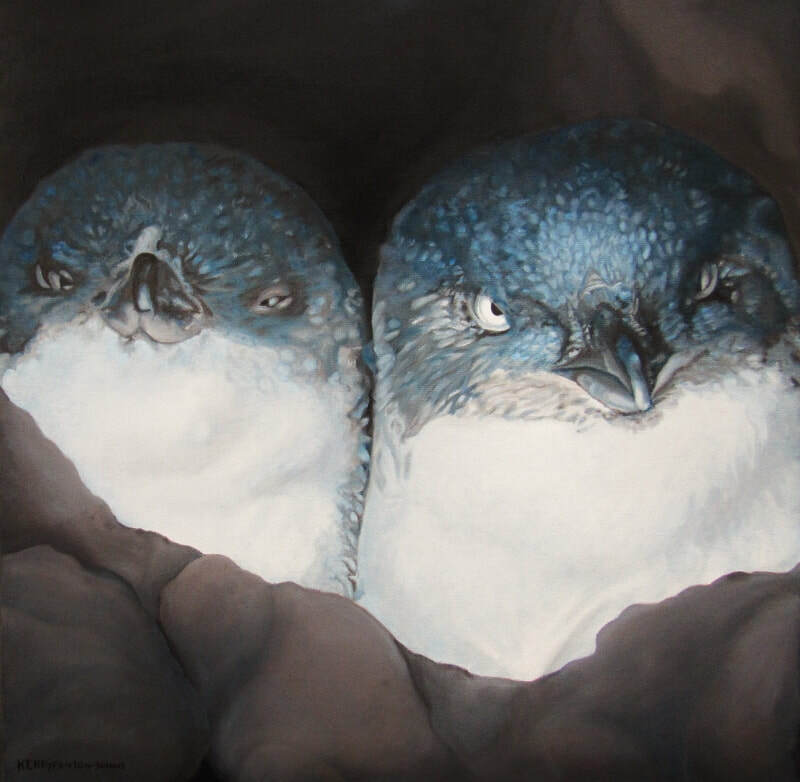 Her works have sold to gallery owners and to private buyers in New Zealand and overseas.Her Work is also reproduced on wild side and Redbubble products umbrellas,bags, scarfs,tiles,t shirts etc which are sold through out New Zealand in retail outlets and online international shopping stores. 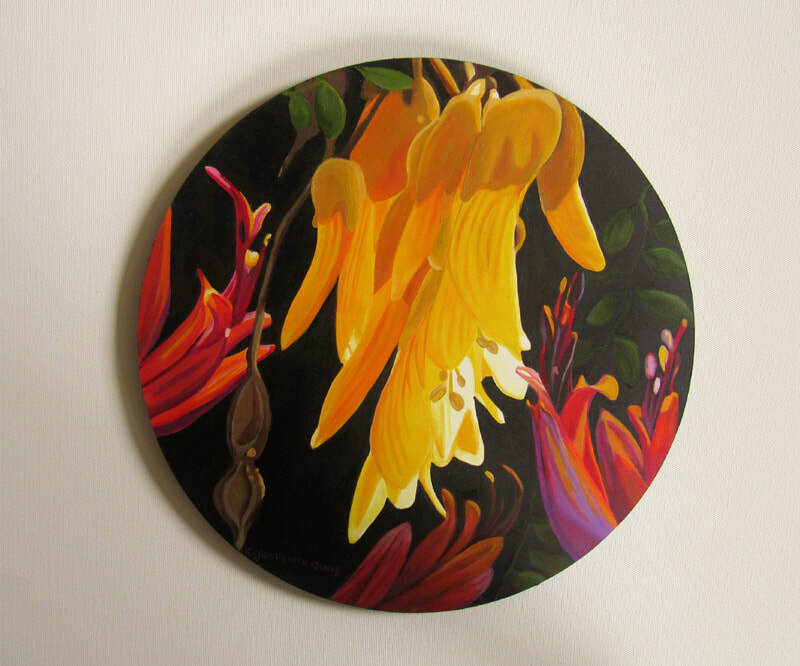 In 2008 Kerry won the Yellow Art Awards and a painting featured on the cover of the Otago phone book 149,000 were printed and in circulation for 12 months through out Otago .Kerrys love for painting keeps growing in the form of teaching and mentoring other artists.